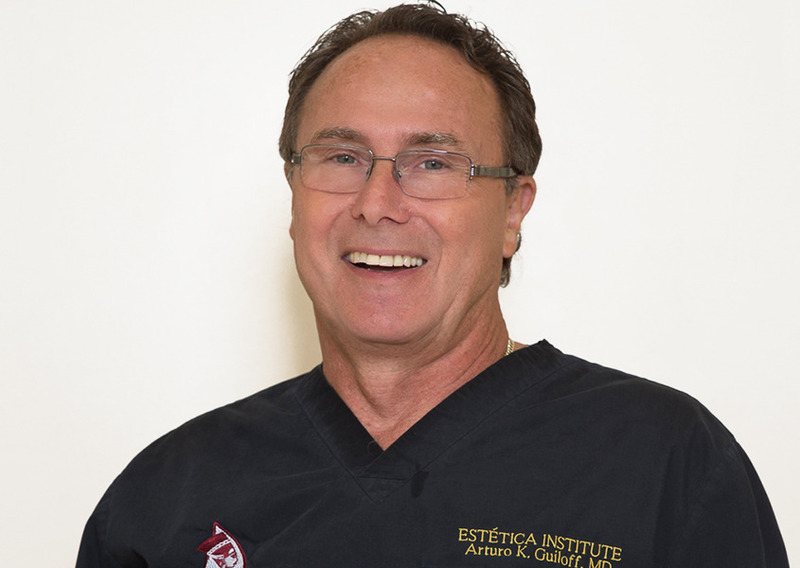 Dr. Arturo K. Guiloff is a well established Board Certified Plastic Surgeon with over twenty years of experience in the field of plastic and reconstructive surgery. Our practice is dedicated to our patients. While plastic surgery is not for everyone, for some it can literally work wonders, resulting in a positive boost in self-esteem as well as physical improvement. Plastic surgery is a rapidly advancing specialty and we strive to offer the latest in technology, but not without first evaluating what is safest for you.Some of our goals are to provide you with the most complete and accurate information about the available procedures in cosmetic surgery and delivering the best by providing technical excellence and outstanding post operative care. Our staff and myself are always available and truly listen to our patients. We assure you that you will be treated in a very caring, respectful, and understanding manner”. “Left Atrial Myxomas: Report of 11 Cases & Review of the Literature”, Journal of Cardiovascular Surgery, March 1985. “A Simple Way of Protection for Accidental Cautery Burns”, Annals of Plastic Surgery, October 1986. 1st prize residents assay, American College of Surgeons Ohio Chapter, 1982. Recipient Palm Beach County Medical Society Humanitarian Award 2003. Recipient State of Florida “Dr. Philip Lichtblau Award” 2007. Past Chief, Division of Plastic Surgery at St. Mary’s Hospital of West Palm Beach, 1990-1995. Past Chief, Division of Plastic surgery at Palm Beach Gardens Medical Center, 1997-1998.Special Expert Witness in Plastic & Reconstructive Surgery for the Florida Department of Professional Regulation, 1994 to present.